Marvel Legends Venom (Monster Venom wave) unboxing/review – AiPT! 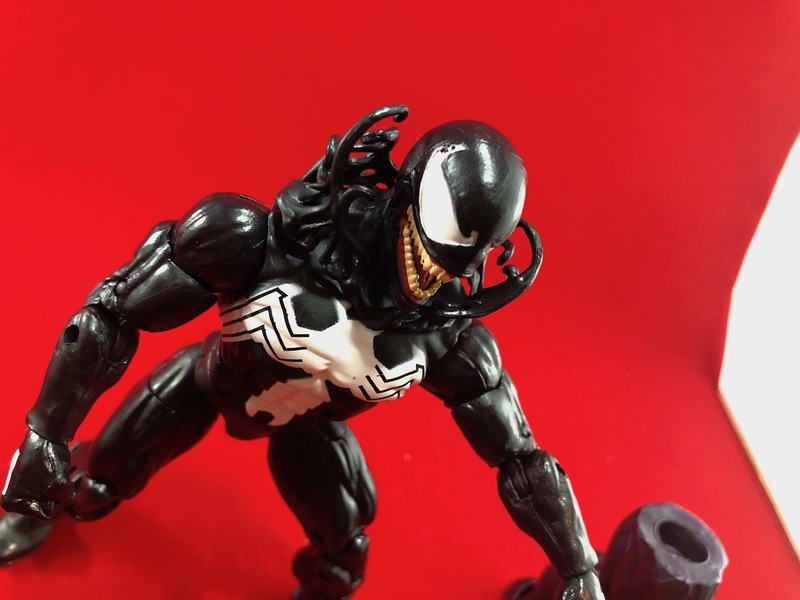 The 2018 Marvel Legends Venom gets an unboxing all his own. When I found out Marvel Legends was doing a Venom wave I got excited. This is a wave that pretty much coincides with the release of the hit film out in October. Sadly there are no movie tie-in toys here, but it was a nice gesture at least. I’ve already unboxed all of the figures in this wave which includes Spider-Ham, Carnage, Typhoid Mary, Scream, and Poison leaving the title character of the wave to last. It’s a good thing I did too because this might be the saddest release of the bunch! My biggest issue with this figure was the white paint on the chest emblem. This figure’s emblem is blown out and looks damaged. That isn’t to say every figure will have this defect, but it’s worth looking for just to be safe. Luckily I have that older version so I could swap the body out with this. The other problem I had is how similar this is to a previous Marvel Legends Venom released only three or so years ago. It’s identical. They’ve thrown in a tendril neck piece, and the teeth are slightly different, but it’s the same body. That’s extra annoying given how Carnage has tendrils popping off arms and legs. If you don’t have this Venom figure it’s worth picking up, but know that it’s a pretty basic figure. Stay tuned here as I show off the Monster Venom BAF in the very next video! Not only is this the exact same body mold from years past, but it's also a damaged paint job! Same body mold as years past. Carnage can get tendrils on the body and Venom can't?